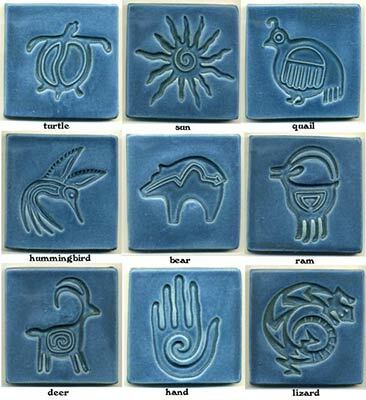 These 4" square tiles were inspired by ancient rock art and carvings made by Native Americans. The design is stamped into the clay tile (impressed). 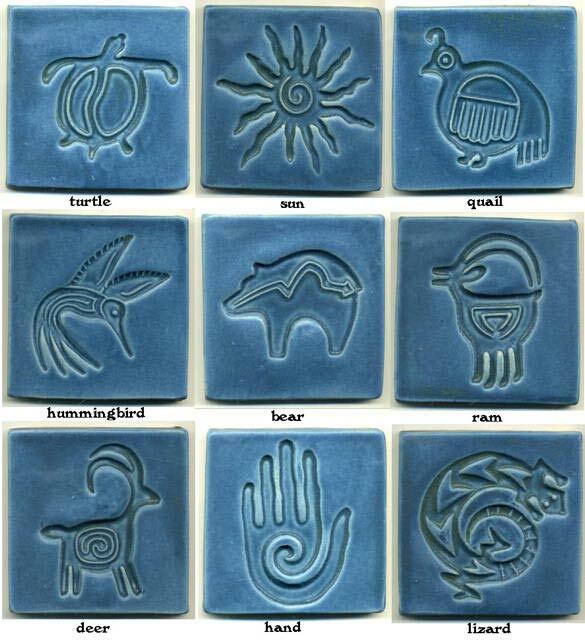 The petroglyph tiles are available in any single color of your choice.